A new study published in the prestigious Annals of Internal Medicine demonstrates what has been known all along by Alexander Technique teachers: that improving the way we go about our daily activities can relieve a pain in the neck. Alexander Technique lessons benefits patients with chronic neck pain: To access the published study click here. Two out of three of us will suffer with neck pain at some point in our lives (source: Patient UK) and most cases involve ‘nonspecific pain’, caused by poor postural and movement habits or minor sprains rather than serious underlying disease or injury. Symptoms – including restricted movement of the neck and pain that may spread from either the neck or shoulder to the base of the skull or down the arm – may begin to improve after a few days and be gone within a few weeks. However, sometimes the symptoms persist, become chronic and are more difficult to get rid of. Chronic neck pain, which is defined as persisting beyond three months, is generally treated with pain killers and physiotherapy. However, a study funded by Arthritis Research UK, and managed by a large research team based at the University of York, found that participants who attended one-to-one Alexander Technique lessons had, on average, nearly a third less pain and incapacity at the end of the trial than was reported before lessons began. This group also had significantly less pain than did a group that had received usual GP-led care alone throughout the study. The ‘usual care’ offered to all patients included any NHS tests and treatment that became necessary as well as out-of-pocket costs, such as for non-prescription medication. 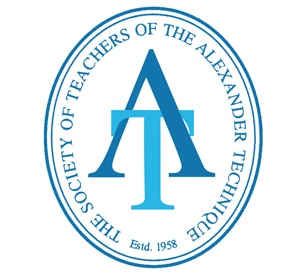 The Alexander Technique lessons enabled participants to make beneficial long-term changes to the way they carried out their everyday activities such as working at a computer, walking, sitting or standing. At the end of the trial, one year after lessons began, they were still on average enjoying the same level of pain reduction that they did at the end of the lessons about seven months before. The results also showed a significant increase in people’s knowledge and ability to manage their own condition following Alexander lessons, and that this increase was associated with a greater reduction in pain and incapacity. Lessons in the Alexander Technique are designed to help people become more aware of (and discover how to reduce) any harmful postural and mental habits that often contribute to pain, tension and stress. People can be inspired and enabled to rediscover their natural co-ordination and balance and realise the possibility of healthier ways of living, provided they resolve to apply the Technique in their daily lives. The Alexander Technique is a self-empowering, self-care method that leads to improved muscle tone and general coordination. Its teaching is centred on avoidance of unnecessary mental and physical tension in everyday activities through increasing calm attention to yourself and your surroundings, with priority being given to poise of the head and the whole spine. Learning and applying the Technique can ease chronic back pain and may also be helpful for reducing unwanted general muscle tension and stiffness, breathing or vocal problems, anxiety and various stress-related conditions.